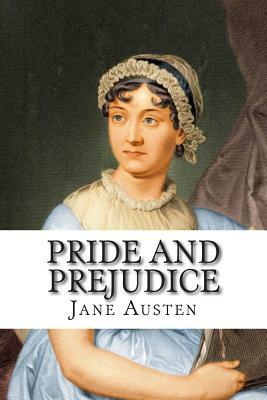 Pride and Prejudice is a novel of manners by Jane Austen, first published in 1813. The story follows the main character Elizabeth Bennet as she deals with issues of manners, upbringing, morality, education, and marriage in the society of the landed gentry of early 19th-century England. Elizabeth is the second of five daughters of a country gentleman living near the fictional town of Meryton in Hertfordshire, near London. Though the story is set at the turn of the 19th century, it retains a fascination for modern readers, continuing near the top of lists of "most loved books" such as The Big Read. It has become one of the most popular novels in English literature and receives considerable attention from literary scholars. Modern interest in the book has resulted in a number of dramatic adaptations and an abundance of novels and stories imitating Austen's memorable characters or themes. To date, the book has sold some 20 million copies worldwide. The novel centres on Elizabeth Bennet, the second of the five daughters of a country gentleman. Mr Bennet is a bookish man, and somewhat neglectful of his responsibilities. Mrs Bennet is a woman lacking in social graces and primarily concerned with finding suitable husbands for her five daughters. Jane Bennet, the eldest daughter, is distinguished by her kindness and beauty; Elizabeth Bennet shares her father's keen wit and occasionally sarcastic outlook; Mary is not pretty, but is studious, devout and musical albeit lacking in taste; Kitty, the fourth sister, follows where her younger sister leads, while Lydia is flirtatious and unrestrained. The narrative opens with news in the Bennet family that Mr Bingley, a wealthy, charismatic and sociable young bachelor, is moving into Netherfield Park in the neighbourhood. Mr Bingley is soon well received, while his friend Mr Darcy makes a less favourable impression by appearing proud and condescending at a ball that they attend (he detests dancing and is not much for light conversation). Mr Bingley singles out Jane for particular attention, and it soon becomes apparent that they have formed an attachment to each other, though Jane does not alter her conduct for him, confessing her great happiness only to Lizzie. By contrast, Darcy slights Elizabeth, who overhears and jokes about it despite feeling a budding resentment. On paying a visit to Mr Bingley's sister, Caroline, Jane is caught in a heavy downpour, catches cold, and is forced to stay at Netherfield for several days. Elizabeth arrives to nurse her sister and is thrown into frequent company with Mr Darcy, who begins to act less coldly towards her. Mr Collins, a clergyman, and heir to the Bennet estate, pays a visit to the Bennets. Mr Bennet and Elizabeth are much amused by his obsequious veneration of his employer, the noble Lady Catherine de Bourgh, as well as by his self-important and pedantic nature. It soon becomes apparent that Mr Collins has come to Longbourn to choose a wife from among the Bennet sisters (his cousins) and Elizabeth is singled out. She instead forms an acquaintance with Mr Wickham, a militia officer who relates having been very seriously mistreated by Mr Darcy, despite having been a godson and favourite of Darcy's father. This insight and her attraction to Mr Wickham increase Elizabeth's dislike of Mr Darcy. At a ball given by Mr Bingley at Netherfield, Mr Darcy becomes aware of a general expectation that Mr Bingley and Jane will marry, and the Bennet family, with the exception of Jane and Elizabeth, make a public display of poor manners and decorum. The following morning, Mr Collins proposes marriage to Elizabeth, who refuses him, much to her mother's distress. Mr Collins recovers and promptly becomes engaged to Elizabeth's close friend Charlotte Lucas, a homely woman with few prospects.